Catastrophic coverage threshold – The Medicare Prescription Drug Plan pays 95% of your drug expenses once your total drug costs reach $7,425.00 for the year. You pay approximately 5% of those expenses. There is no maximum limit in total drug costs. Copay/ Coinsurance – A co-payment is a set amount you pay each time you pick up each prescription drug. The co-pay amount may vary by drug. A coinsurance is a percentage of the prescription drug cost which a member must pay. Deductible – The initial amount you pay before some Medicare Prescription Drug Plans begin to pay. Many plans don’t have an initial deductible, and the deductible amount may vary from plan to plan. The standard deductible for Medicare Part D Prescription Drug Plans is $400 in 2017. Drug Plan Name – Name of the the drug plan option. Drug Sponsor Name – Name of the Prescription Drug Plan’s parent company. Initial Coverage Limit – The initial amount that drug plans will cover after you have paid any annual deductible and before you reach the coverage gap. The initial coverage limit is $3,700.00 in 2017. During this period, you can pay in co-pays or co-insurance an average of 25% of the cost of prescription drugs and the plan pays an average of 75% of the cost of prescription drugs. Maryland SPDAP Coverage Gap Subsidy – Once you reach $3,700.00 in yearly drug costs, you will enter the coverage gap or “doughnut hole.” Information about a 2017 SPDAP Coverage Gap (Doughnut Hole) subsidy will be forthcoming. Maryland SPDAP Monthly Subsidy – The amount of money SPDAP will pay the drug plan towards your monthly premium on your behalf. This amount may vary from plan to plan based on the actual premium amount, however it will not exceed $40 per month. Maximum member cost in the coverage gap – This is the amount you will have to pay for Medicare prescription drug coverage after the initial coverage limit has been reached. During the coverage gap phase, you are responsible for 100% of the drug costs until you’ve paid $3,725.00 out of your pocket for covered prescription drug costs. Some Enhanced Prescription Drug Plans may provide coverage of some generic drugs during the coverage gap. Medical management requirements – Medicare Prescription Drug Plans are required to implement strategies (e.g., Prior Authorization, Step Therapy, Quantity Limits) through which pharmacists or other qualified health professionals monitor specific medications. Requirements may vary from plan to plan. Medicare Advantage Plan summary – A plan offered by a private company that contracts with Medicare to provide you with all your Medicare Part A, Part B and prescription drug benefits. A Medicare Advantage Plan can be an HMO, PPO, or a Private Fee-for-Service Plan. Monthly Premium After Subsidy – The amount of money you will pay per month for your premium after the $40 per month subsidy provided by SPDAP. Tiers – Prescription drug plans identify their medications based on 4 tier levels. Each tier level may have a different co-pay. 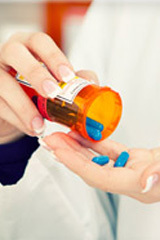 Tier 1 medications are generic drugs and generally have the least expensive co-pay. Tier 4 medications may have the highest co-pay. Total Monthly Premium – The monthly payment that you must pay to a prescription drug plan or Medicare Advantage plan to receive prescription drug benefits. Premiums vary from plan to plan.